Lenovo is still dead set on delivering capable notebooks to market, despite crushing the handheld sales boards recently. After bringing a new range of ThinkPads prior to this year’s IFA and delivering the uber high-res Yoga 2 Pro ultrabook the company has decided to bump its existing lineup with the latest Intel chips from the Haswell series. 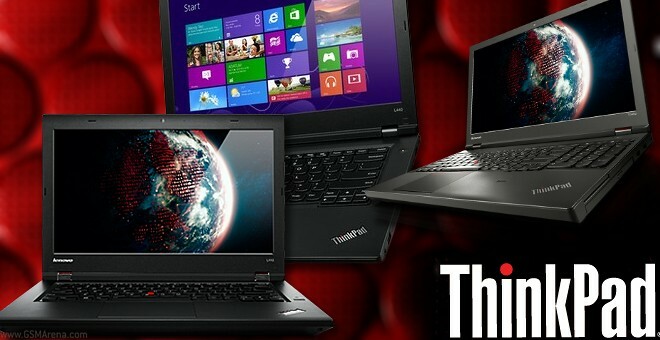 The series getting the update are the ThinkPad T, W, L and E. The higher-end of the bunch is the W540, moving down the T440P, T540P and the L440, L540 and E440, E540 laptops. All but the E series laptops will feature 4G connectivity as well. The ThinkPad W540 has a quad-core i7 processor, 15.5″ 2880 x 1620 display and a battery life of 6 hours. The T440P is quoted at 13.7 hours while the T540p at 12.6 hours. The L440 is expected to run for 12 hours, while the L540 for 11 hours. Currently the pricing is known for the L440 and L540 – starting at $729 – the E440 starts at $861 and the E540 goes for $834. All mentioned laptops will go on sale in October.